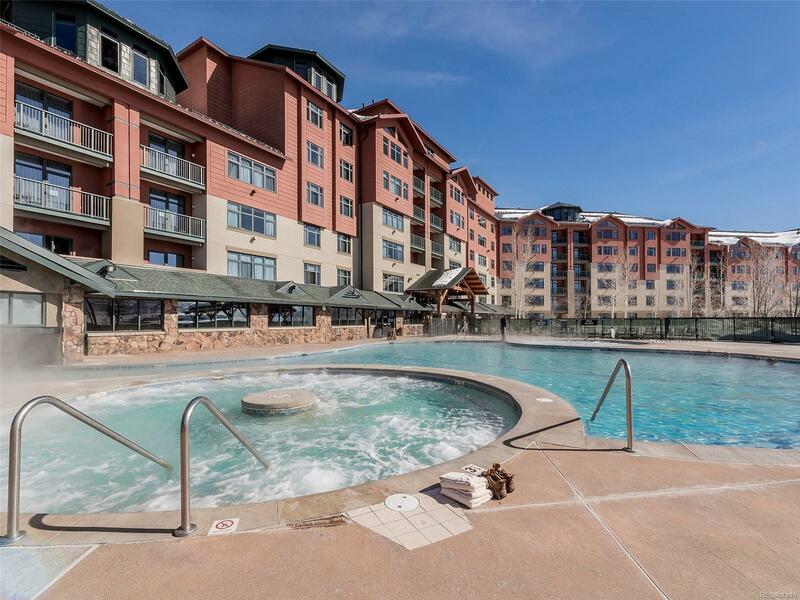 The Steamboat Grand is located just steps to Gondola Square, where the activity in Steamboat Springs begins. This unit is on the 4th Floor with valley views that overlook the jogging path below. The interior of this condominium includes a large entry, granite kitchen counters, open living area and picture windows that invite the natural light inside. A convenient dining area makes this a perfect ski getaway. The adjacent master suite with lock-off option includes a walkout, covered balcony, gas fireplace and jetted tub suitable for a relaxing soak in the bathroom. The Freestyle floor plan has 2 fireplaces and a large, fully-equipped kitchen. This is unit has the ability to be rented out as a King Suite, Parlor or 1 bedroom. Amenities on the property are second to none and include a massive outdoor pool, hot tubs, ownerâs lounge, full-service spa, concierge, underground parking and ski valet.